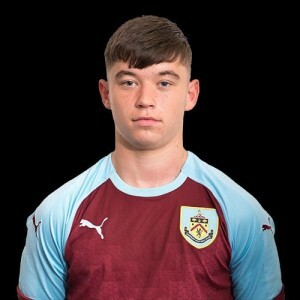 Burnley’s under-18 team came from a goal behind to earn a point in a 1-1 draw this afternoon in their U18 Professional Development League game at Nottingham Forest. We fell behind in the 24th minute when Elliott Andrew converted a penalty following a foul, but we were level four minutes later through Cricky Conn-Clarke (pictured) who got on to a through ball from Terry Mupariwa. Just before half time it looked as if we’d gone on front but Matt O’Neill, who has scored in each of the last two games, saw his effort ruled out for offside. There were no goals in the second half, although both sides came close, and it ended with the teams in second and third place getting a point apiece. With Sheffield Wednesday winning at Hull, it takes them two points clear at the top of the table. Our team was: Harry Allen, Kane Patterson, Bobby Thomas, Edon Pruti, Matty Rain, Matt O’Neill, Terry Mupariwa, Kian Yari, Cricky Conn-Clarke, Kai Smith, Mitch George (Michael Fowler 56). Subs not used: Kai Calderbank-Park, Udoka Chimna, Rhys Fenlon, Brennan.